November | 2013 | Save the Kales! 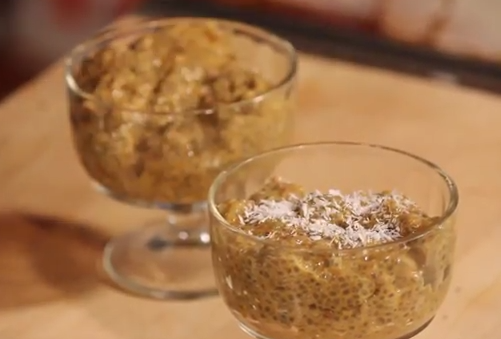 PUMPKIN CHIA PUDDING: It’s Like Instant Tapioca Pudding! You can find a hundred posts about the wonders of chia seeds (dare I say, it’s the kale of 2013? 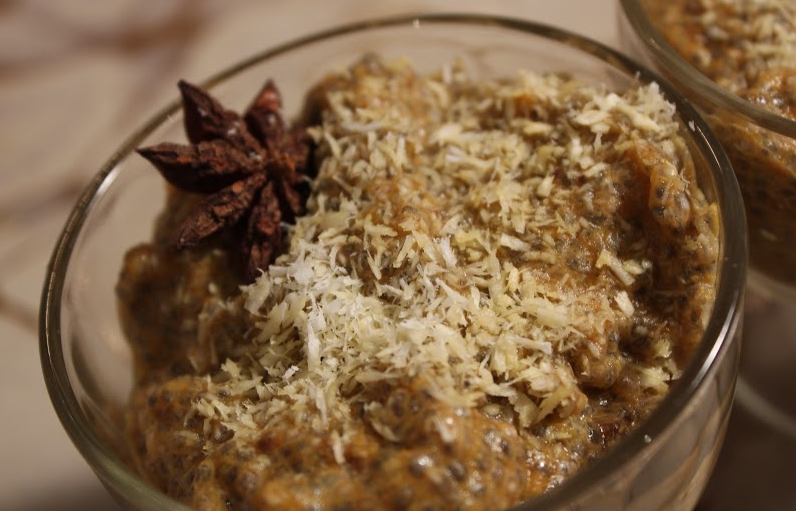 ), so I’ll just share this quick recipe, great for a chia seed beginner! This is very kid-friendly since you “cook” it by mixing stuff together. Easily altered to whatever flavors you’re enjoying at the moment: add dried fruit, play with spices, maybe live on the edge and add some dairy-free chocolate chips! Just remember the basic ratio of 1:3, 1 part chia seeds to 3 parts liquid base (almond, soy, coconut milk, etc). Mix chia seeds in a bowl with almond milk. Stir every few minutes for about 20 minutes until it has gelled. Mix in remaining ingredients. You can garnish with shredded coconut (shown below). Watch more videos from our Fall/Pumpkin Episode of Save the Kales! right here.